I first thought writing this Post in recognition of Father’s Day was going to be very simple and straightforward. Not so! Once I began to focus on the subject and thought I had my thoughts all organized a flood of memories and thoughts swept over me. Father’s Day hits me on several levels and some I want to share with you. First, I realized that I have been blessed. Not too long ago it dawned on me that I was among only a few of my friends who actually knew both grandfathers. Most of my childhood friends did not. My grandfathers were part of my growing up and I have fond memories of them. They both knew me, cared for me, and spent time with me. Do or did you know both sets of grandparents and did they actually know you? Then there is Father’s Day on the level as a son and I knew my father well. He passed away at an early age in 1976 and even today I risk keeping him high on a pedestal to the point of hero worship. He died in his mid-fifties and hardly a day passes that I do not think of him or remind myself that he was the original source of my drive to do or to be something of value. My father was a giver and after almost forty years since he passed away, I still feel inspired by the example he provided as a father. Then there is the father level of being a dad myself. I have four children including 3 boys and one girl who is the youngest. All my kids are adults, different, loving, kind, respectful of the law, and respectful towards me and others. Each one holds a special place in my heart and are responsible for many unique memories any father would cherish. I have always wanted them to know that as their father I truly care about every aspect of their lives and I can be counted on when needed. Finally, there is this level of grandpa. This of course includes four boys and one girl. Again, the girl is the youngest of the lot. In some ways I look at being a grandpa as the chance to make up for the screw-ups I made as a father. For example, just the other day my four year old grand-daughter painted my toenails. Unfortunately, nothing of such happened with my daughter when she was growing up. I was too busy and important. Not now!!! Painted toes is now a memory she and I will always share. I plan not to hide my feet this summer but if asked, I will just say with pride that my grand-daughter did it. I believe my grandfathers as well as my father would have approved of my involvement with the Learning Center. If they were alive, I would certainly tell them their influence on me contributed to the desire to try something new, be willing to take on challenges, and to always believe that you can make a difference. I would also tell them that they were the very best role models any young man could have. One was an entrepreneur and owned his own business, one a laborer and farmer, and one a self-made businessman (almost executive). Each achieved things in life beyond the limitations imposed on them by their education and society. My hat is off to all the Dads of the children enrolled in the Learning Center. 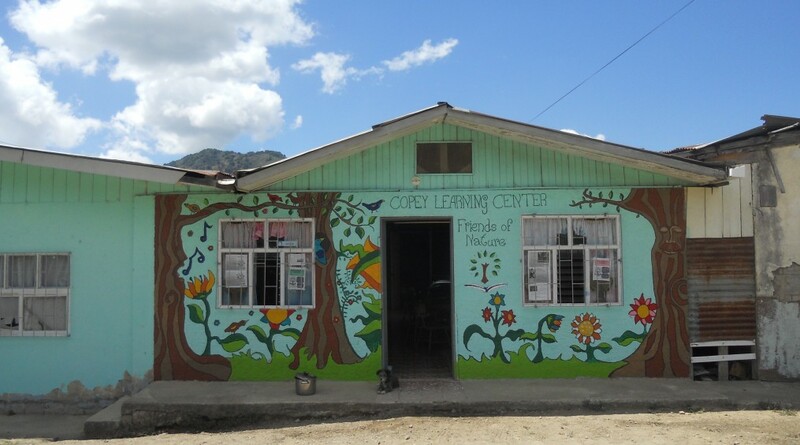 Our mission as “Friends of Copey” is to support these Dads with the enhanced education of their children so each child can achieve beyond the limitations imposed on them by their education and their society. “Friends” thanks for supporting this effort, especially you Dads. ← What a day for a daydream……..
A great Father’s piece, Scrapper! What a loving article. I only was around one grandfather and he died when I was 8 years old. He was always working, so I really did not know him well. Happy Father’s Day to the most incredible man, friend, and most importantly, DAD I know! You inspire me every day and I’m so proud of you and everything you do for so many other people. I love you! You have rendered an absolutely beautiful and accurate description of your father, my Uncle, and our Grandfather. I have always said that the mold of human perfection was broken after Granddaddy and Theron were conceived. I believe that both of these wonderful men are looking down on you, and displaying a big grin and huge dose of approval of all you have done for your family, and now the Learning Center. The legacy lives. Thanks. Happy Father’s Day! What a wonderful tribute to our Father and Grandfathers on Father’s Day. However, I would put you among those incredible men in my life. Each of you have a profound impact on my life and one that I am so thankful for today. You have taken up where they left off not only with the love and caring for our family but also for others. The Learning Center is an example of your caring for others – it is true – “one person can make a difference.” You inspire me to want to help make a difference – with the wonderful little boy named Kevin at the Learning Center – that we sponsor. You make a difference in the lives of others and we thank you on this Father’s Day. My incredible brother.